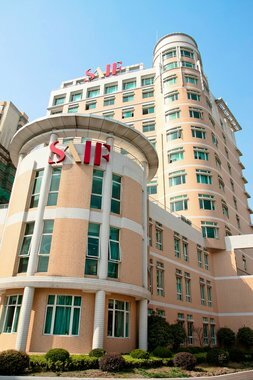 Shanghai Advanced Institute of Finance (SAIF) was established at Shanghai Jiao Tong University in April 2009, with strategic and financial support from the Shanghai Municipal Government. Its mission is to become a world-class institute of research and higher learning. SAIF is committed to developing top talents for the financial world and to generating cutting-edge knowledge in financial theories and applications. As a member of Shanghai’s financial community, it strives to contribute to the development of Shanghai as a global financial center. The financial trading lab at SAIF, established in 2010, draws on the advantages of those at top business schools in North America. 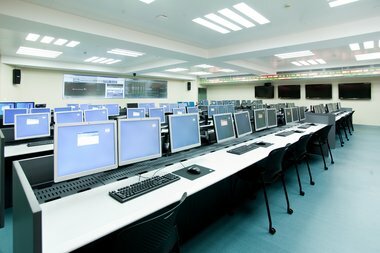 The lab is equipped with 40 trading terminals which are loaded with universally used trading systems, including Wind/Bloomberg/Factset/FTS, and can provide access for 80 people. Students are able to acquire hands-on experience through mock tradings with real-time data donated by EUREX. The full-featured financial trading lab that integrates simulated tradings and academic research is the most advanced of its kind in China.